The Yaghan inhabited the archipelagos at the southern tip of South America, from the Brecknock Peninsula to Cape Horn. They were found on the southern coast of the Isla Grande de Tierra del Fuego, as well as on the shores of the Beagle Channel and the islands of Hoste, Navarino, Picton and Wollaston. These chains of islands made up their entire territory. The vegetation is dense at these latitudes up to an altitude of about 500m (1600 feet), which made it difficult to move about on land. Temperatures in the Yaghan’s region ranged from 10ºC to -12ºC (50ºF to 10ºF), and the region was very rich in wildlife. The tribe was divided into five subgroups, which occupied different parts of the territory. 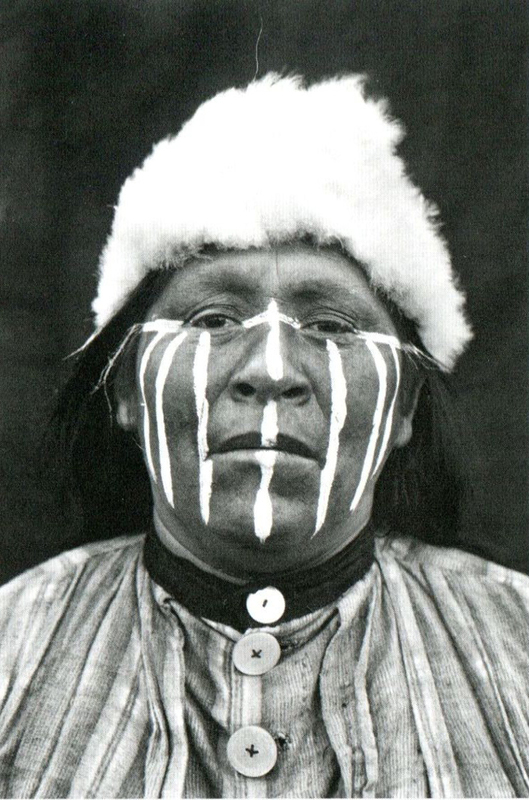 The Yaghan also had contact with the Selk’nam tribe between Bahía del Buen Suceso and the eastern end of the Beagle Channel, and with the Kawésqar between the Brecknock Peninsula and the western end of the Beagle Channel. 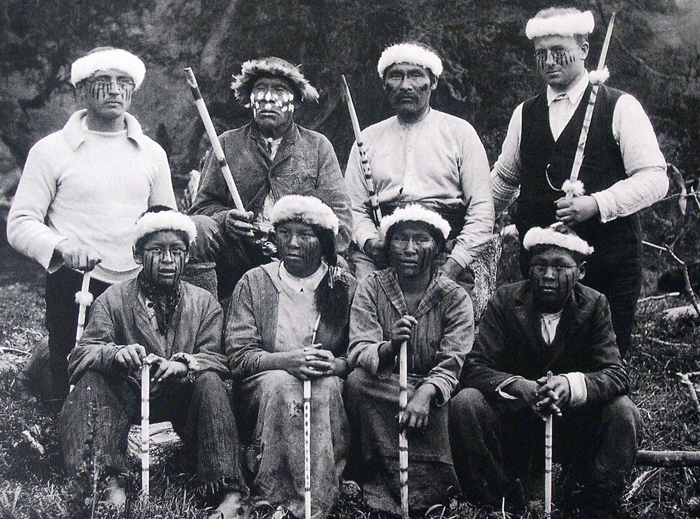 The Yaghan were one of the Southern-Chilean Canoeist Tribes, nomadic people who lived by hunting, fishing and gathering. Canoes played a key role in their economy and their way of life, and were usually made from the bark of a single tree, trimmed and modeled “like a Venetian gondola,” according to contemporary sources. This outer skin was laid over a wooden frame and further reinforced with cross slats before the whole craft was sewn together. Yaghan canoes were 3-5 meters long and one meter wide (about 10’-16’ by 3’), and could hold three to seven people. Later contact with other ethnic groups resulted in additional canoe designs: the three-plank canoe or dalca, commonly used by the Chono people, and the dugout canoe, which could only be built using the metal tools introduced by the Spanish. A fire was kept permanently alight in a special enclosure in the center of the Yaghan canoe, allowing the occupants to move about constantly, camping on shore for just a few days before moving on in search of more food. The women of the group were responsible for paddling, while the men navigated and cared for the children. 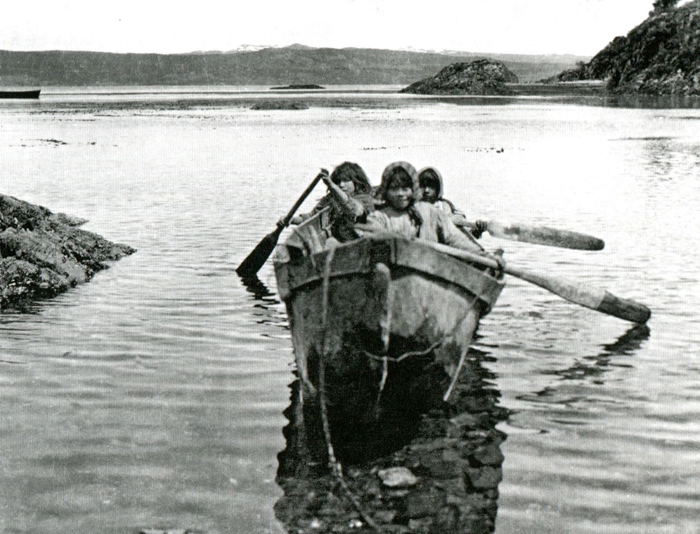 Yaghan women were also the only members of the tribe who swam and dived for shellfish, which they did from the canoe. The men, meanwhile, fished with hook and line and hunted sea lions, seals, whales and otters – the latter with the help of hunting dogs. The eastern Yaghan also sometimes hunted the llama-like guanaco on land. This division of labor between all family members in Yaghan society was essential to their social organization, as they lived in small, autonomous family groups and only met in larger numbers when a large quantity of food was available. On land, the Yaghan gathered mushrooms, eggs, and seasonal plants. Other staple foods included shellfish (such as mussels, limpets and abalone) and seabirds (cormorants and sea ducks). Their diet consisted mainly of animal products and was generally high in fat– an adaptation that helped them maintain a high level of physical activity in such a cold environment. 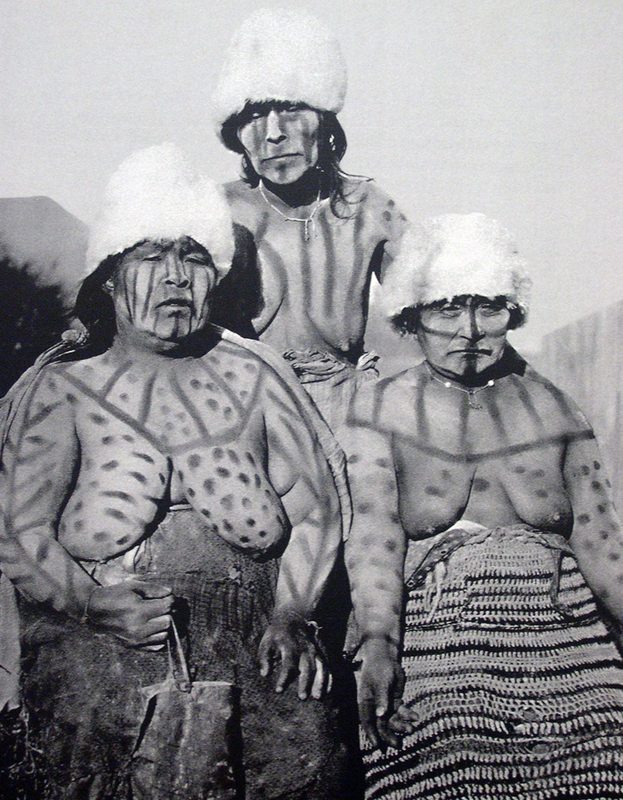 The Yaghan people painted their bodies, varying the designs to suit the occasion. They used white, red and black pigments, adorning themselves with lines, dots, and occasionally circles. The patterns were a shared code within Yaghan society and had a common aesthetic. 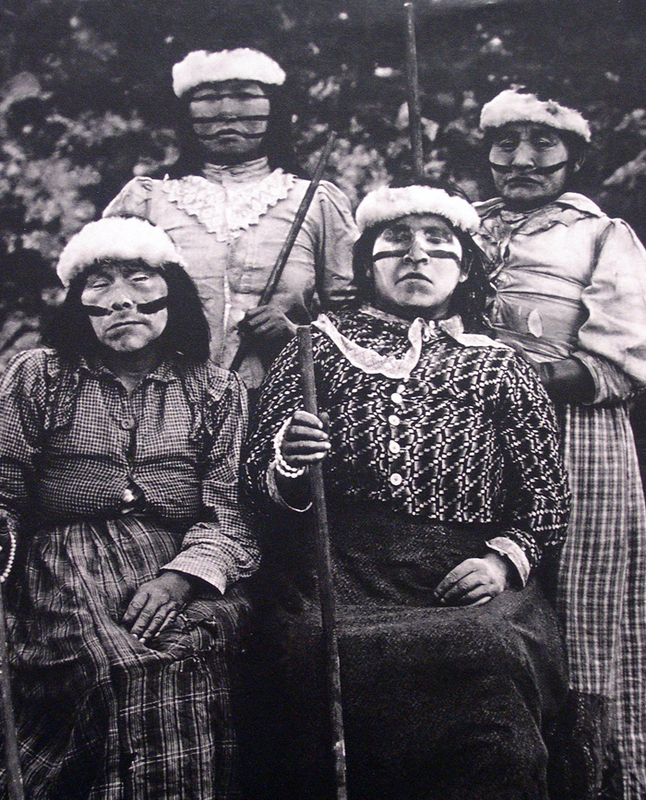 For clothing, they wore a cape made from the skin of a sea lion, fox or otter – the women of the tribe were responsible for making these outfits. They wrapped their feet up to the ankle with pieces of the same skin. While the men went naked apart from this basic attire, the women also wore a small apron that covered the pubis, as well as bracelets, anklets, necklaces and hairbands of beads made from bird bones and seashells. The fundamental unit of Yaghan society was the family, which consisted of parents and children. The family was a closed, independent structure and the only clearly determined social grouping. It was the parents’ duty to educate their children in the ways of the tribe and according to its traditional social aims. Boys and girls were raised together up to the age of seven; after that, they were taught the special skills they required to fulfill their role in society. The Yaghan society was primarily patrilocal; that is, a family usually lived near the husbands’ parents. Young men and women wishing to marry had to have undergone the Ciexaus initiation ceremony at least one week previously. Yaghan marriage was based on affection and mutual respect. When a married woman died, her widower would take her sister as wife; conversely, a widow became the wife of her husband’s eldest brother upon his death. Yaghan society was generally monogamous, and most couples came from the same dialect group. In marriage, men held the authority and were responsible for decisions affecting the whole family; but the women of the tribe governed their own activities and enjoyed equal rights. With no hierarchies, the community had no leader or chief; rather, the entire tribe was in charge of safeguarding their traditions. 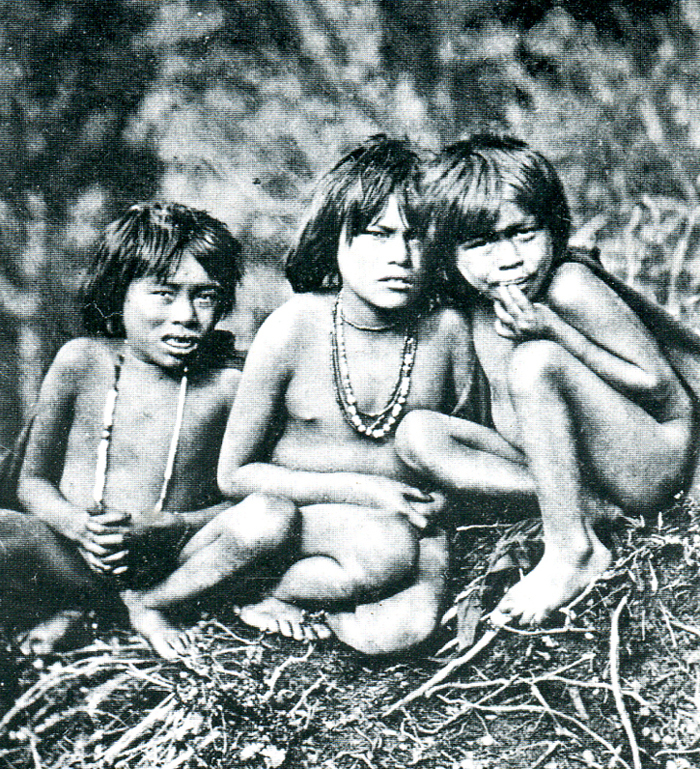 The Yaghan were divided into local groups. Relations between them were generally peaceful, but violence did sometimes erupt when resources were limited. Differences were settled by force or through vengeance. Neighboring groups exchanged goods with each other and later with the Europeans who visited their region. Items such as weapons, clothing and baskets were considered personal property, while food and household items were collectively owned. According to the German Catholic priest Martin Gusinde, the Yaghan believed in a supreme being called Watawineiwa, the owner of all that exists, the one who gives life and takes it away, and the provider of all plants and animals. The tribe’s moral code represents his will, and the Yaghan prayed to him freely with thanks and requests for protection. Their belief system can be classified as animist, with all natural phenomena ‘culturalized’ as spirits. The tribe’s cosmic vision was a solemn topic, and therefore conversations on this topic were rare. In contrast, the discussion of moral issues and principles was an everyday affair, with the people taking a simple approach even for matters of a profound nature. Rituals were practiced in an irregular, more personal manner. 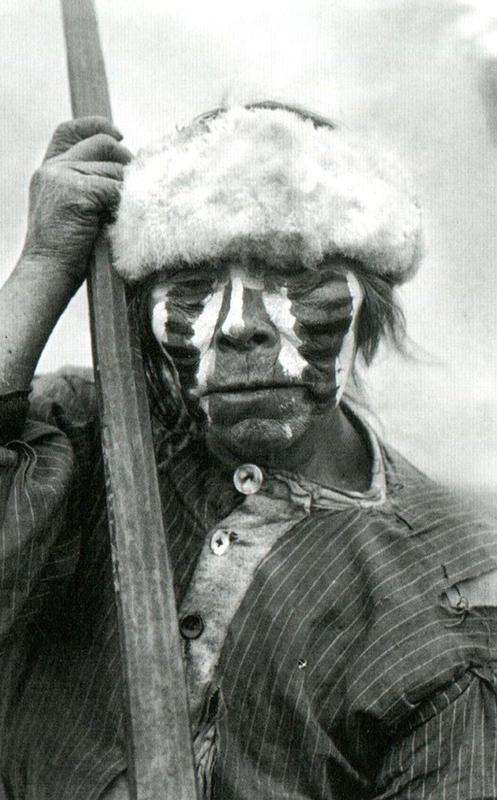 Yekamus or shamans were very powerful in Yaghan society. They were respected and feared but not trusted, and the community had no power over them. 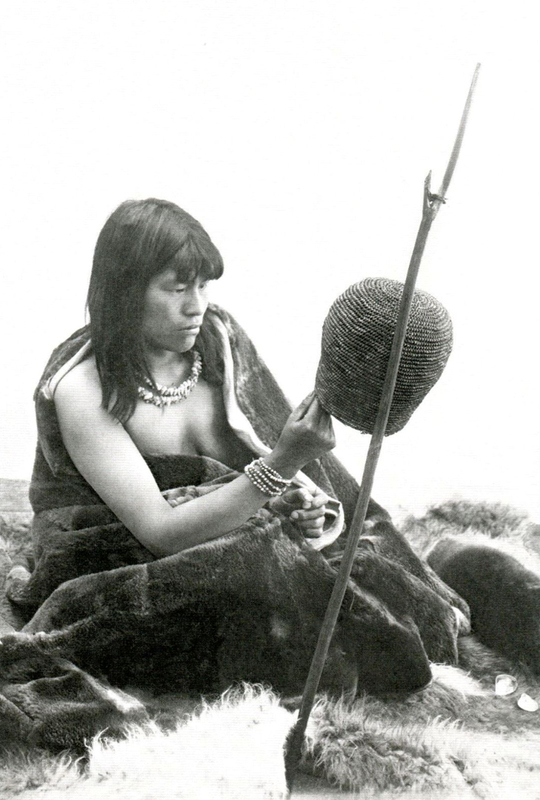 They trained as apprentices individually with older shamans or in ‘shaman schools’—loima-yekamus. There the apprentices learned healing, prediction, how to assist the hunt. There were no special requirements for performing this ceremony. Yekamu candidates were young men who demonstrated the skill and disposition for this role and they chose their vocation freely. Candidates were made to withstand rigid positions, sleep and food deprivation and long periods of silence to enhance their sensitivity and nervous temper, which would help them access the dream world. In becoming a yekamu, an apprentice had to give up his own personality and be taken over by a spirit. The Ciexaus was an important element in Yaghan spiritual practice. Boys and girls both underwent this rite of passage at puberty, and its aim was to prepare the aspirants for adult life through physical trials. After undergoing this rite, individuals became full members of the Yaghan community. The ceremony was imbued with the tribe’s rich spiritual heritage. The Kina ceremony came later in life and was restricted to young men, introducing them to the mythological ideas that Yaghan men considered their sole preserve. However, there were no negative consequences if a man failed to participate in this ritual, and years could go by without the ritual being performed. The main aim of the Kina seems to be to remind women of the men’s supremacy. Indeed, the rite appears out of place in the Yaghan social order, and seems to have been adopted from the neighboring Sek’nam people. The last ceremonies of this kind recorded took place between 1920 and 1923. There was also a mourning ritual, consisting of a mock battle between men and women, in which the whole group participated. The body and possessions of the deceased were then cremated in a location that was avoided for many years afterwards, and the name of the deceased was never again mentioned. 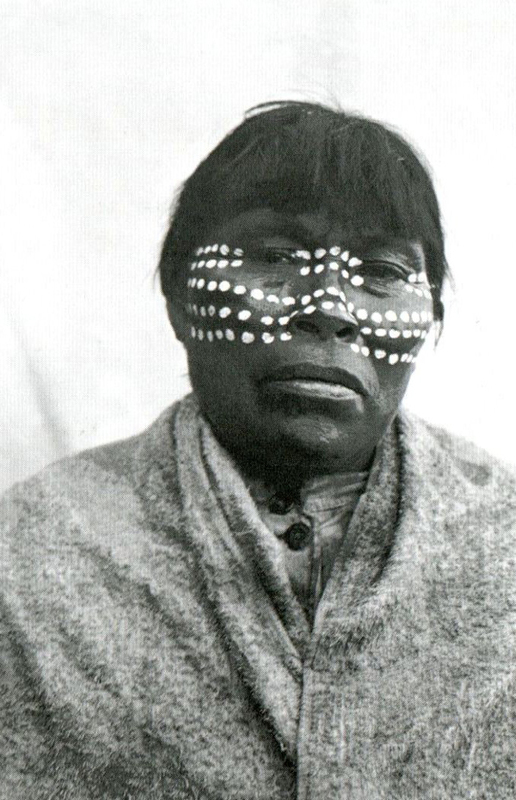 The Yaghan people—and their shamans especially— had a great fear of the dead. Other Yaghan funeral practices included wrapping the body in animal skins and tree bark and leaving it in a rocky shelter. The burial of the dead in middens or underground are customs that seem to have been introduced by missionaries. As sea nomads, Yaghan families spent much of their lives in their canoes, traveling with their dogs, weapons and tools. They camped on shore and sometimes formed temporary settlements. Contemporary sources describe two forms of dwelling. The oval shaped ones were built mainly in the southern and western reaches of the tribe’s range, where the climate is wetter and the wood more flexible. They had better heat retention and a vaulted structure, which was formed by burying the ends of wooden poles in the ground and then bending and interweaving them in the center. This frame was then covered with branches and skins as well as dry grass and moss. The second type of dwelling was used in the eastern Yaghan territory. These were made with wider, drier trunks that were buried at the base and joined together at the top into a domed framework, which was then covered with branches and animal skins. The key feature of both forms of dwelling was their ability to retain the warmth of the fire. 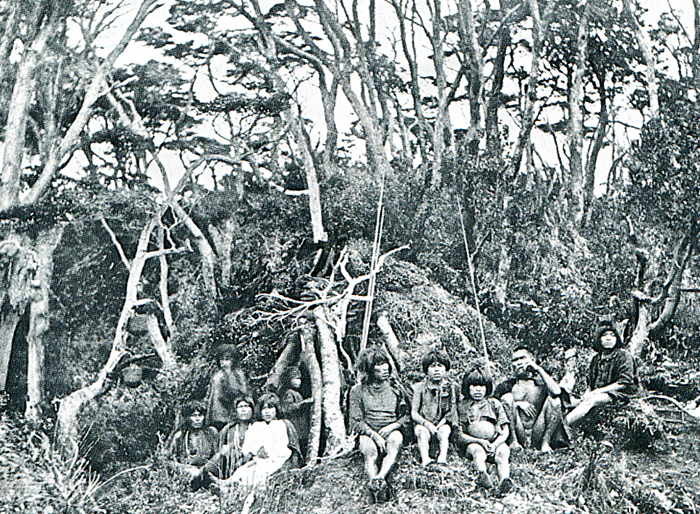 A single Yaghan dwelling could hold from one to four families, and were built according to how many families were present at the camping place at that time. If the structure was to be used for more than a day, it was reinforced with more branches and leaves. The structures were abandoned when their builders moved on, but were rebuilt by other groups arriving later. Larger communal camps were built on special occasions only, such as initiation ceremonies or when a whale beached on the shore offered an abundance of meat. 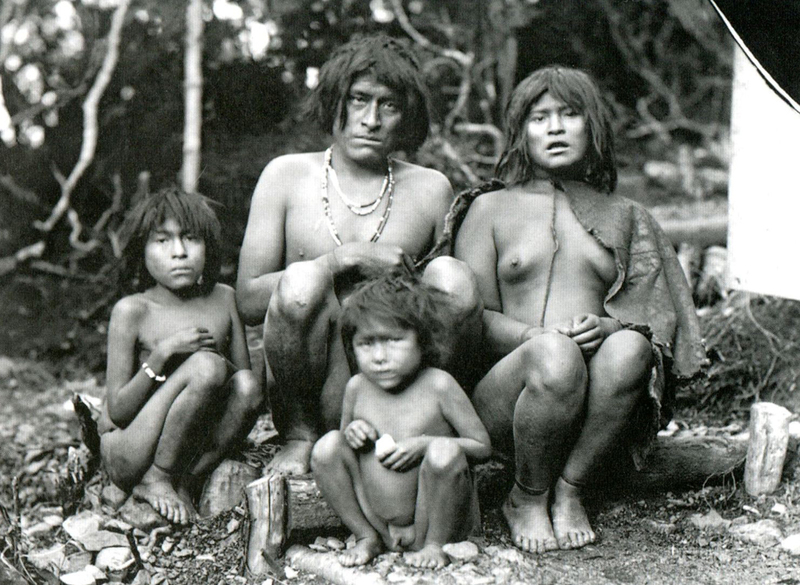 The Yaghan or Yámana tribe. 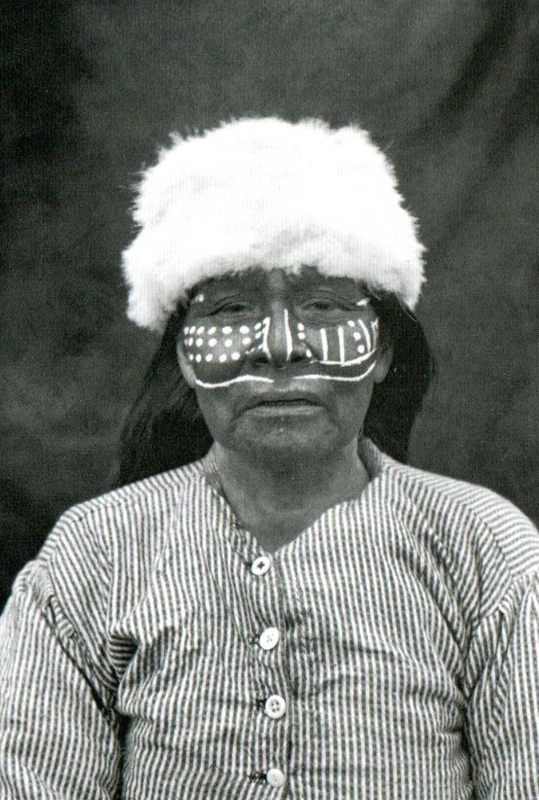 The names ‘Yaghan’ and ‘Yámana’ are based on words from the tribe’s language: yámana means ‘man’ (as opposed to kipa, meaning woman), and yagán or yaghan means ´us´. By 1973 the Yaghan language was the only significant indigenous trait still surviving, and it was dwindling towards extinction. The tribe’s first sporadic contact was with European sailors in the 16th Century. Missionary groups arrived in the following century. Thus began the transformation of the Yaghan’s traditional way of life, through evangelization and the incorporation of new patterns of living brought by the outsiders – principally a change in diet and the abandonment of their former nomadic lifestyle. New kinds of visitor began arriving in the eighteenth century: scientific expeditions, whalers, and sea lion hunters. The fur trade was the economic driving force behind this flow of visitors, with pelts of the native otters and sea lions being particularly prized. As these animals had been a major food source for the Yaghan people for generations, the natives were experts in hunting them. The foreigners found the natives to be the easiest means of access to the region’s resources, and the fur traders either recruited them as guides and assistants or traded with them, bartering skins for items of little commercial value but highly prized by the Yaghan. Women in Yaghan society were seen not only as sexual companions and a source of domestic labor, but also as valuable workers for their shellfish collecting and hunting abilities. In 1843, the Government of Chile ruled over the Strait of Magellan region and began to found cities, bringing increased sea traffic through the strait and the nearby Beagle Channel. To the Yaghan people this meant unceasing contact with the outside world. Tribal groups took refuge in Puerto Remolinos, Argentina, and Bahía Mejillones, Chile. They were moved away from the latter site when it was established as a Chilean naval base, and by the 1970s most had been moved to Villa Ukika. The government’s aim was to bring the tribal people closer to services such as healthcare, policing and education, a move that had a profound impact on Yaghan acculturation. However, in 1992 the Navarino Island Yámana Community (Comunidad Yámana de Navarino) was formed to resuscitate the tribe’s history and culture and to help this poverty-stricken and marginalized indigenous group. With this aim, traditional handicrafts were revived, including reed basket weaving and tree bark and sea lion skin canoemaking. Other activities include the gathering and sale of seafood products such as spider crab and Chilean snow crab, and small boat building and repair. 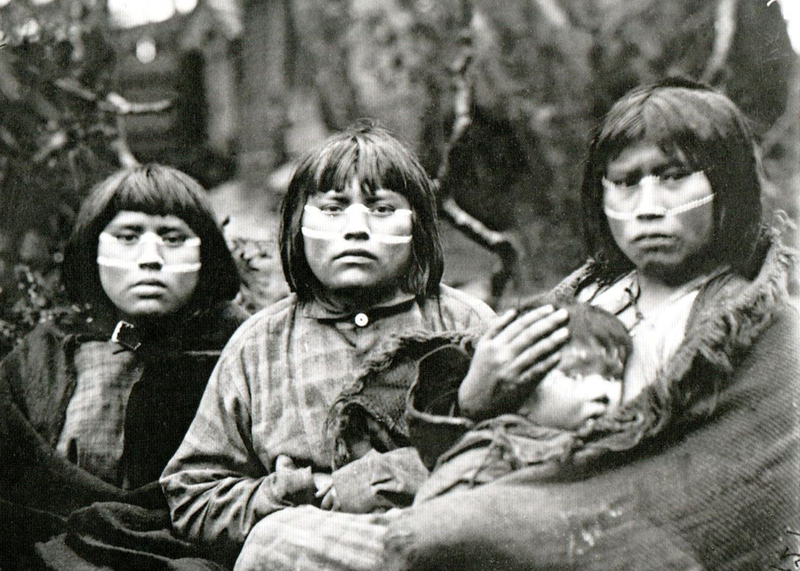 Although most Yaghan customs have been lost through the adoption or imposition of Western culture, in 2002 a total of 1685 Chileans (0.24% of the country’s indigenous population) identified themselves as members of the group. Yaghan is one of the so-called Fuegian languages, along with Kawésqar and Selk’nam. They are mutually unintelligible and are believed to be language isolates, unrelated to each other. The last remaining speakers refer to their language as háusi kút, and to the Spanish language as póla kút. The Yaghan vocabulary reflects the speakers’ extreme southern environment, and uses completely different words for concepts that in European languages would use a single noun and different qualifying adjectives. This is particularly notable for local plants and animals. For instance, the black conger eel and the red conger eel are known in Yaghan as tahkáfi/ and imahára/, respectively. A notable feature is the use of anglicisms—such as kofi (coffee) and móns (month)—which are used for items introduced in modern times.